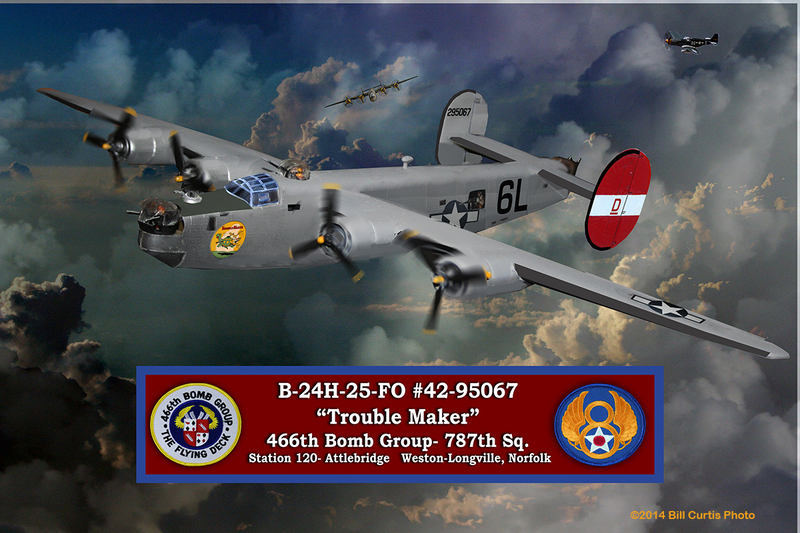 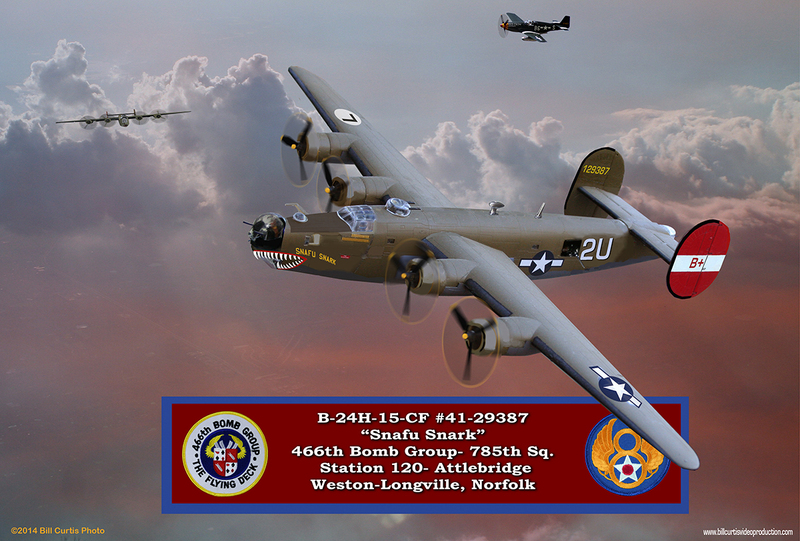 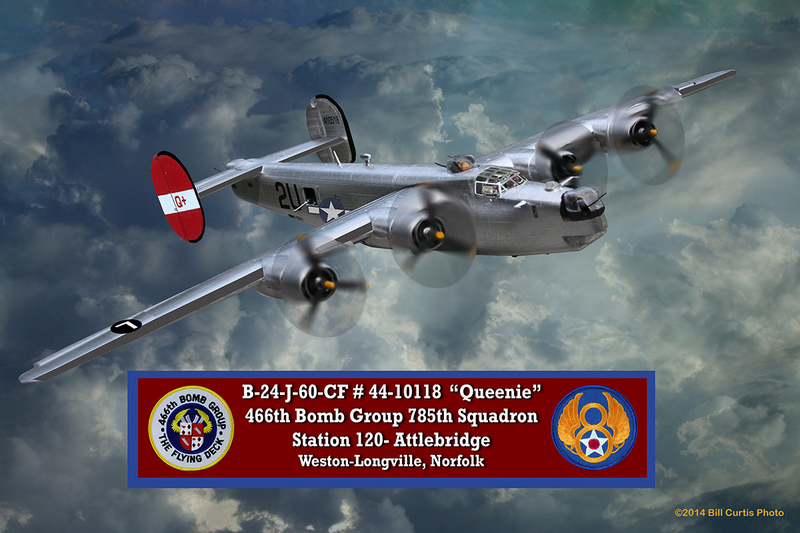 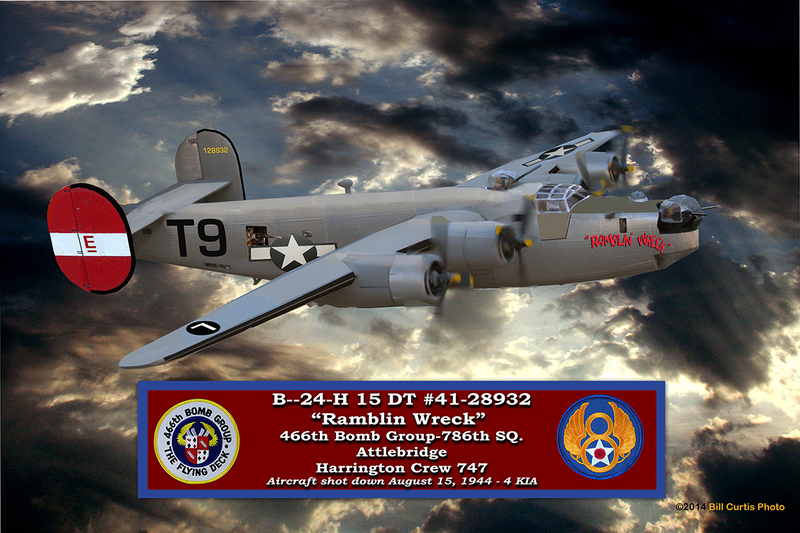 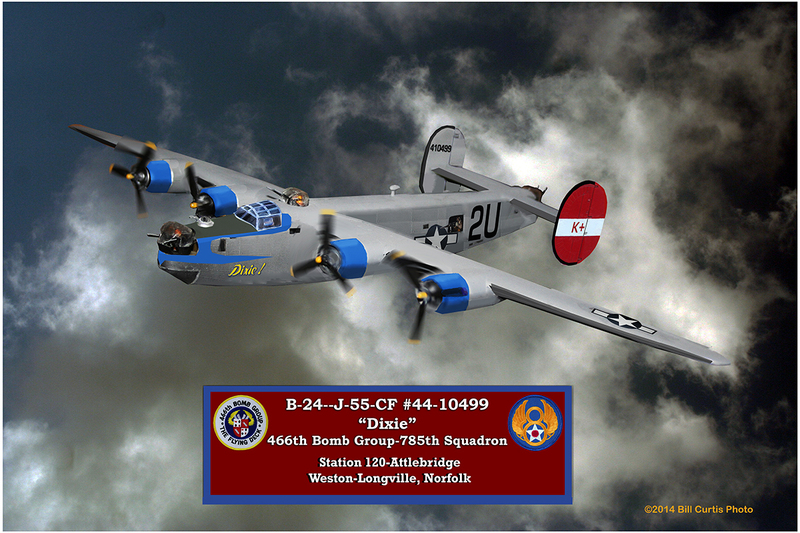 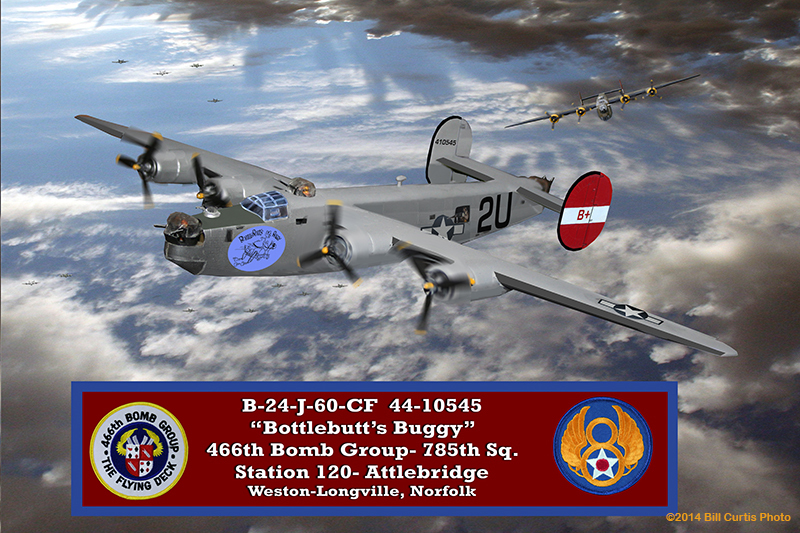 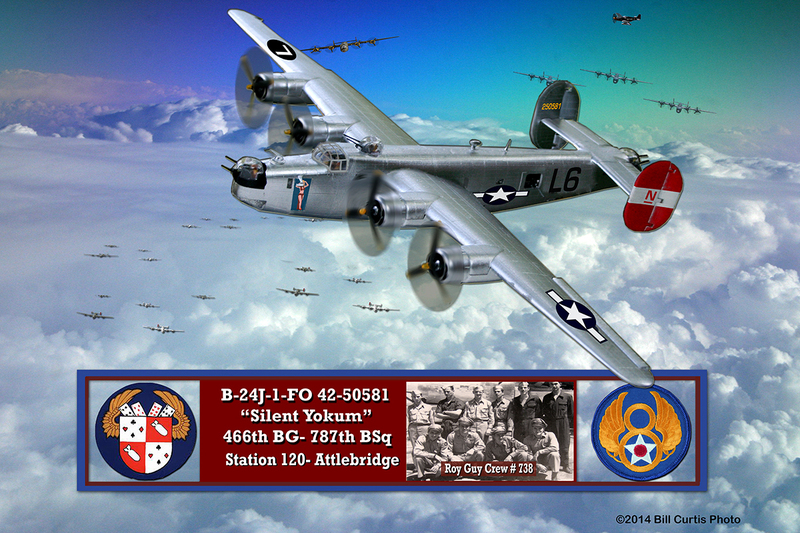 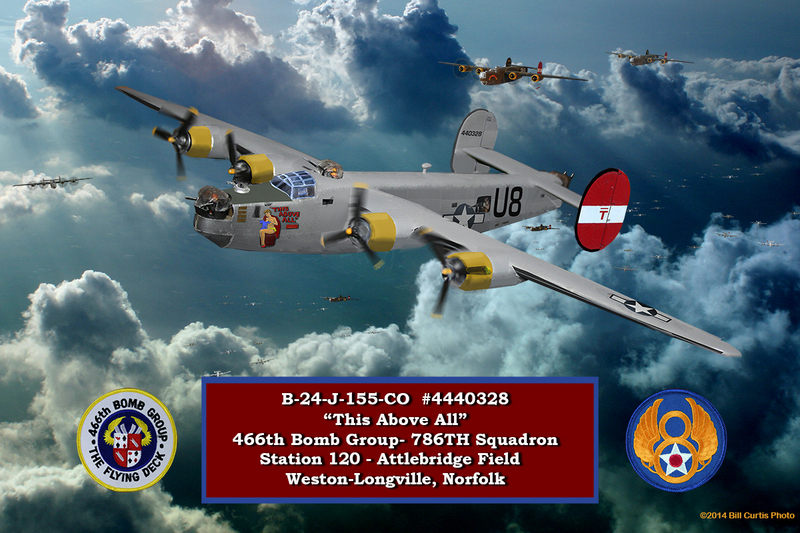 The B-24 Liberators of the 466th were mostly B-24 Model H and Model J's. 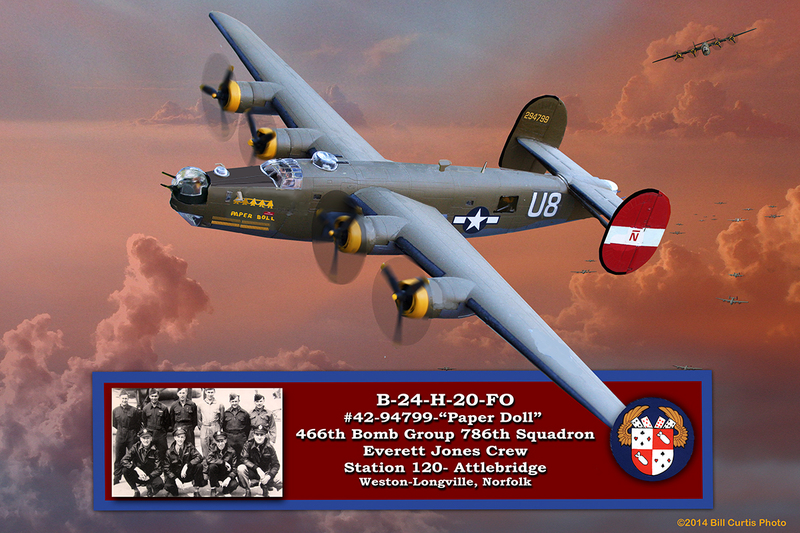 The early models came painted in a camouflage drab green. 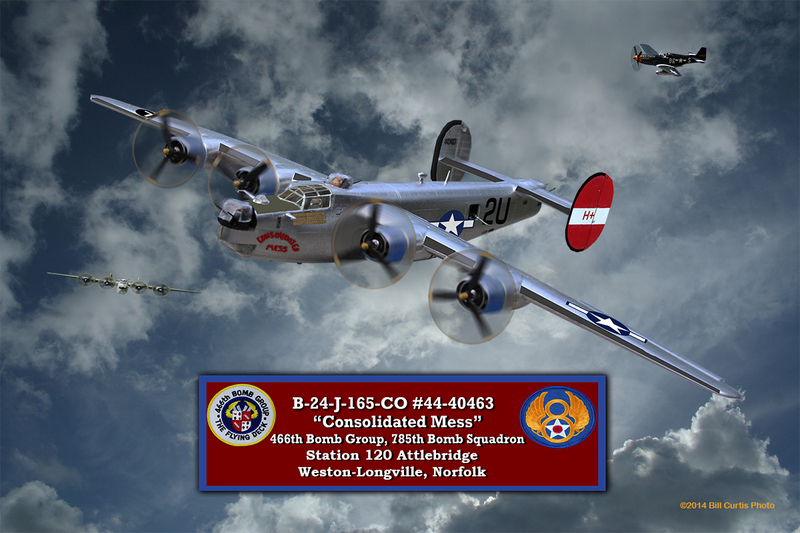 Later models came in just the natural aluminum with no paint except for identification markings. 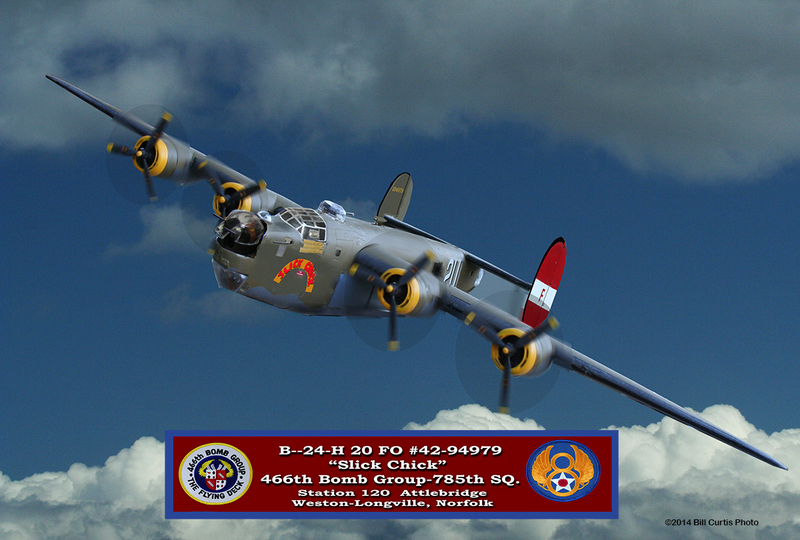 They stopped painting the B-24's to reduce the weight of the airplane by 600 pounds. 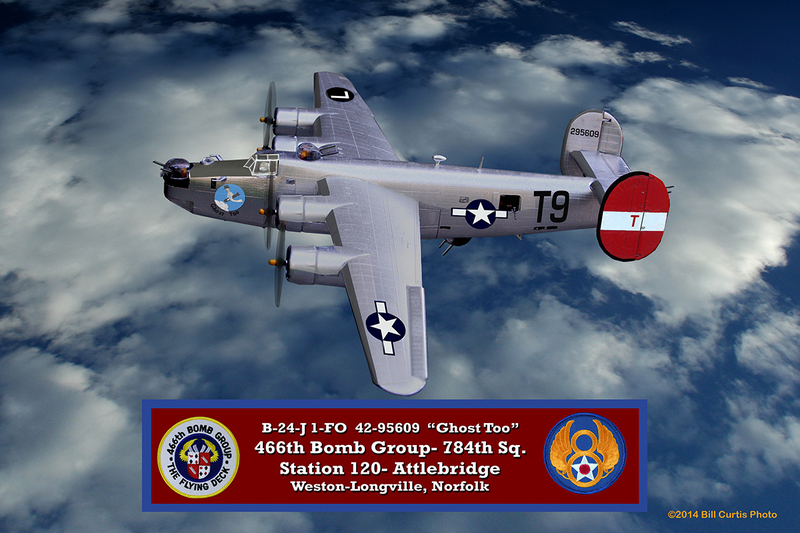 Prior to the April 1944 tails were painted all green with a large black letter L in a large white circle. 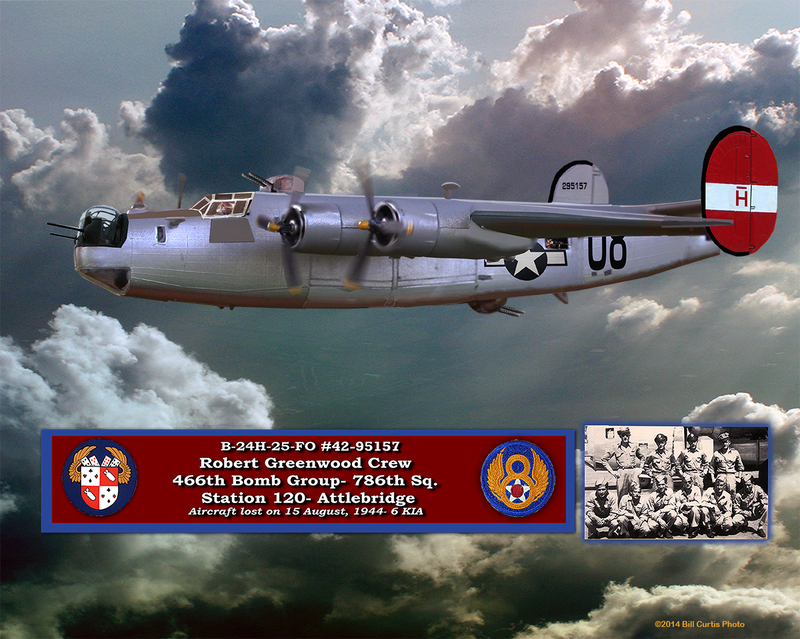 Below was a small letter for the aircraft call Identification. 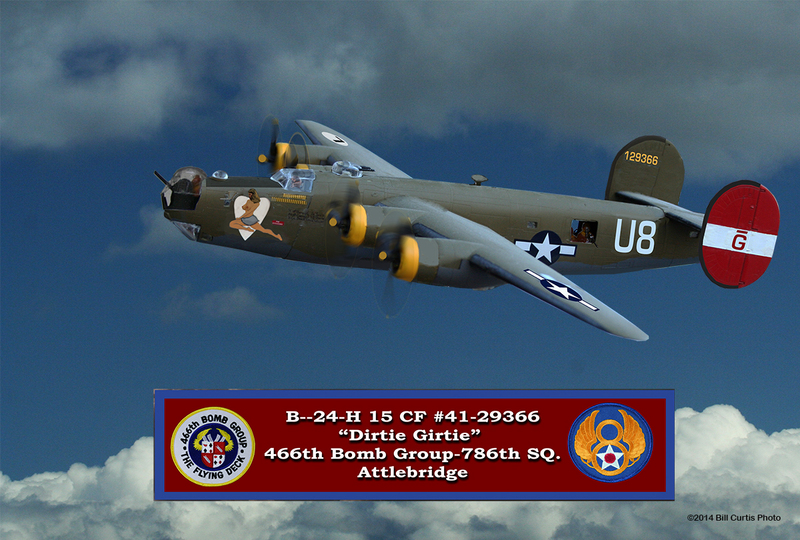 Towards the top of the inside of each tail fin was the aircraft serial number. 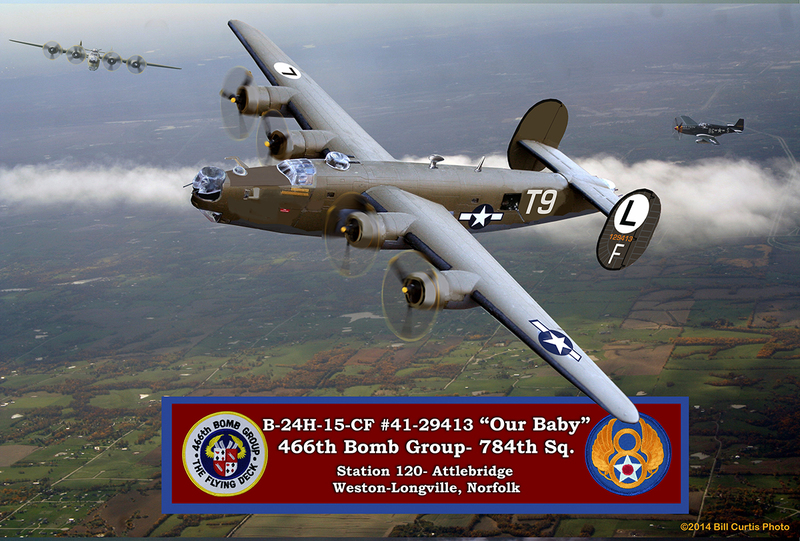 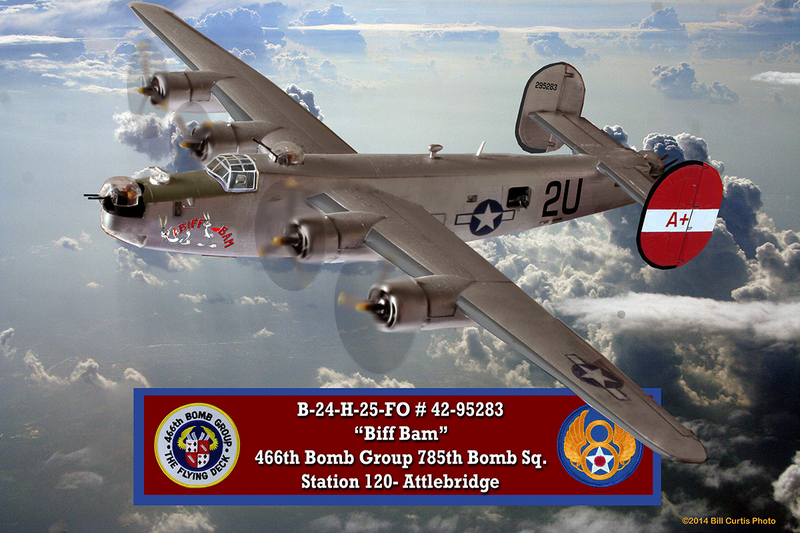 If the first number was 1, that signified that the B-24 was manufactured in 1941. 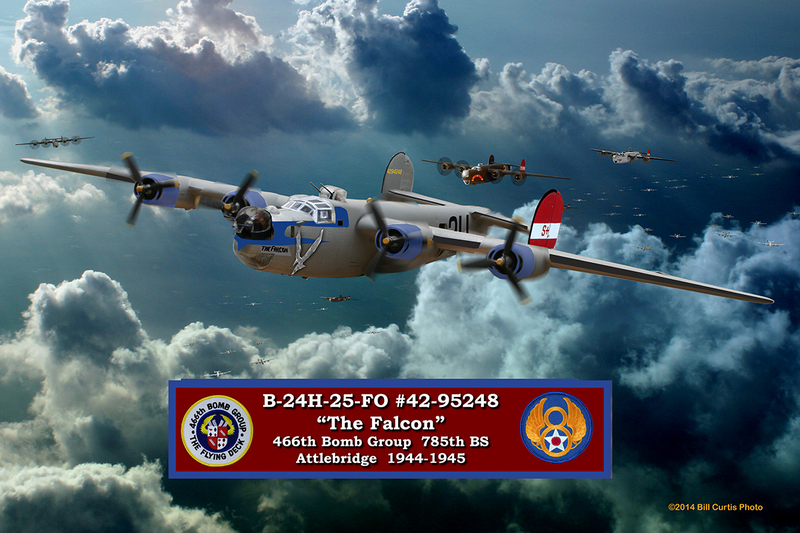 If the first number was a 2 then it was manufactured in 1942. 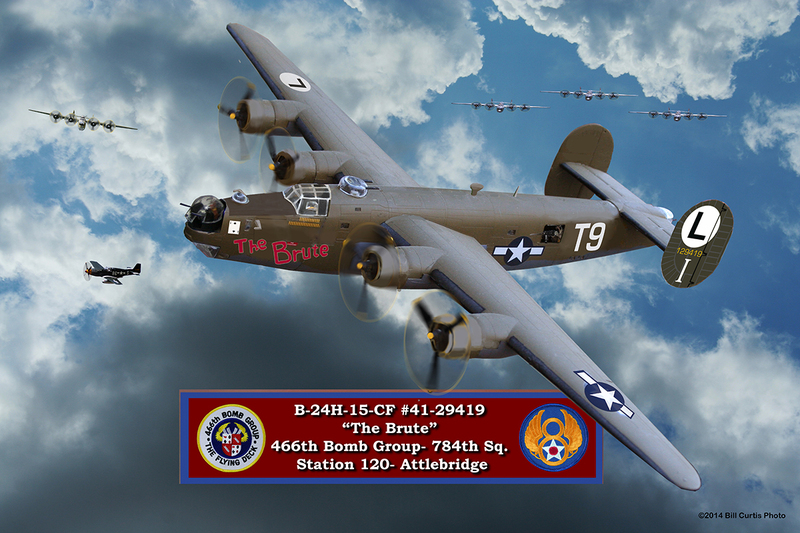 After April 15th, 1944 the tails were painted red with a white horizontal stripe in the middle. 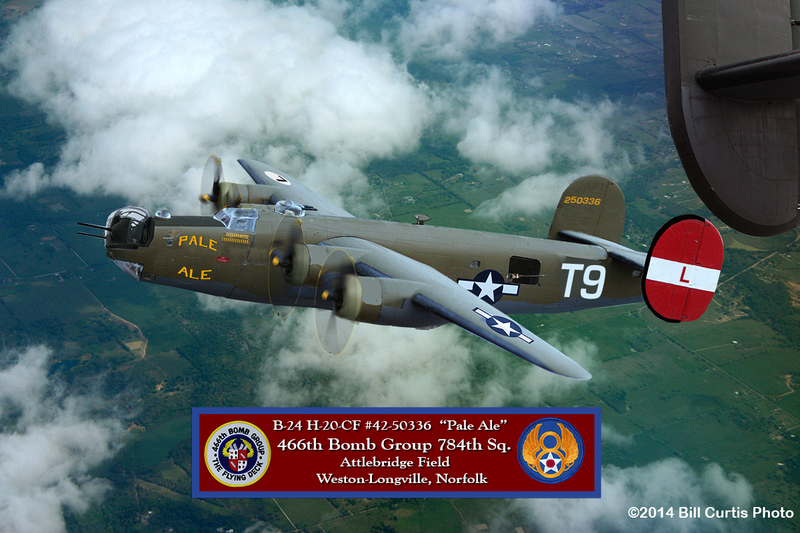 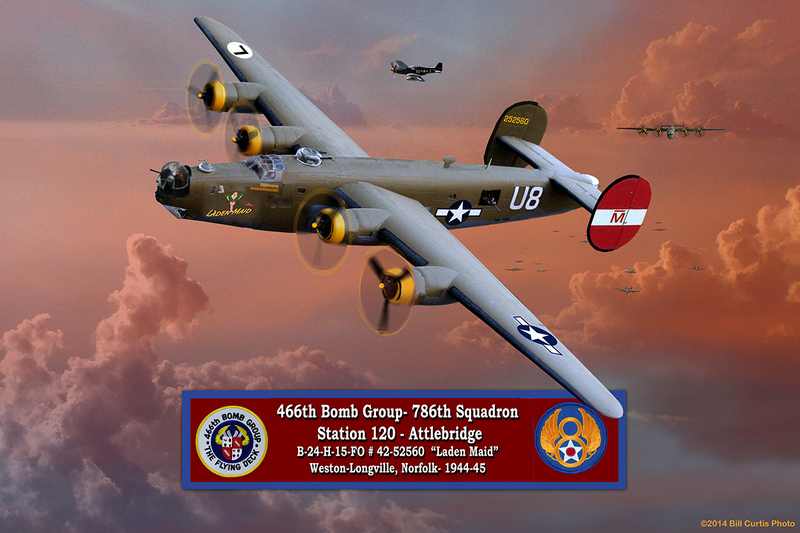 This signified the 466th Bomb Group. 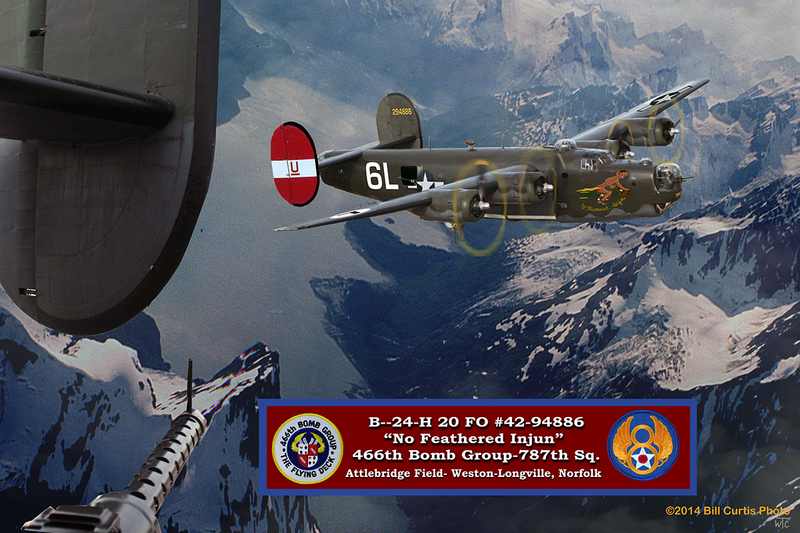 Letters placed behind the waist gun portals signified the Bomber Squadron. 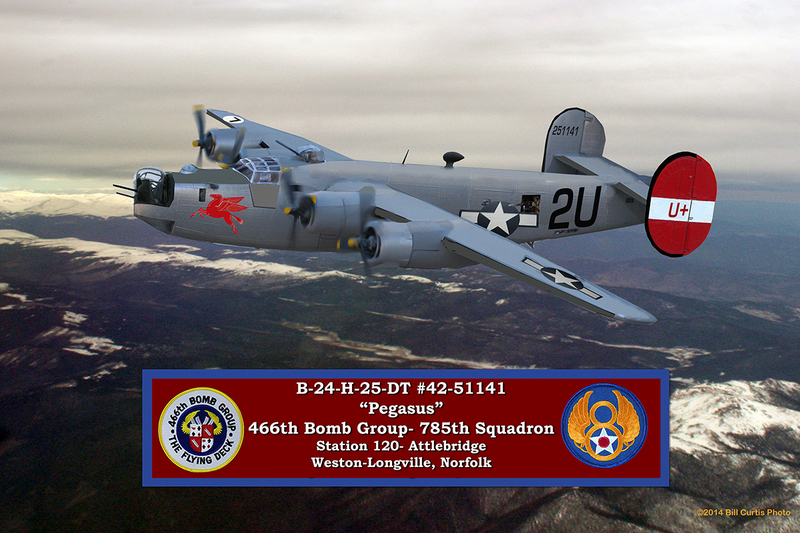 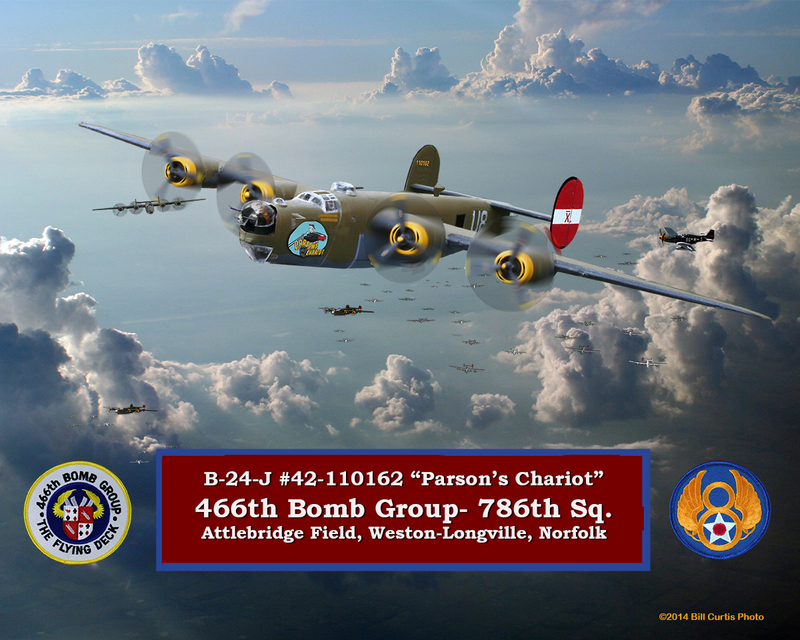 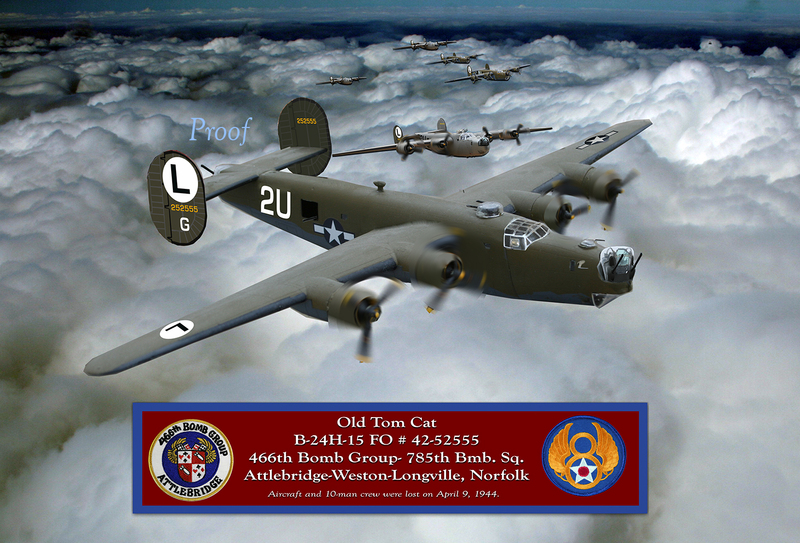 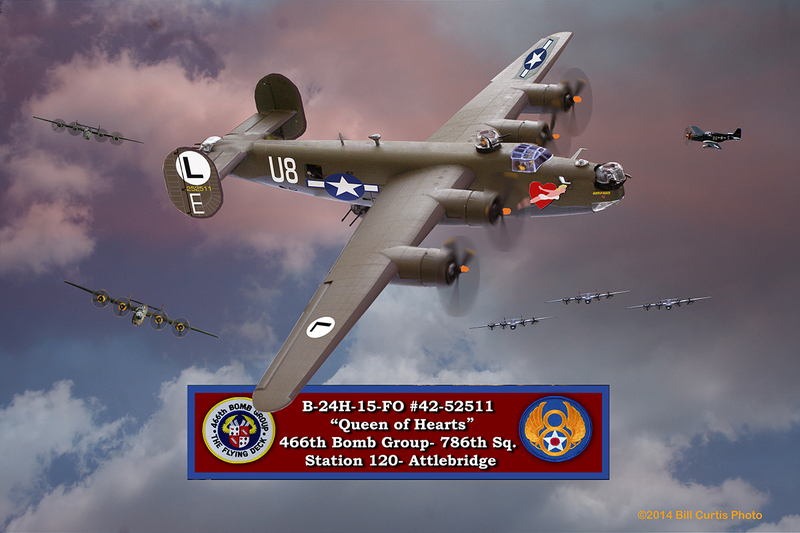 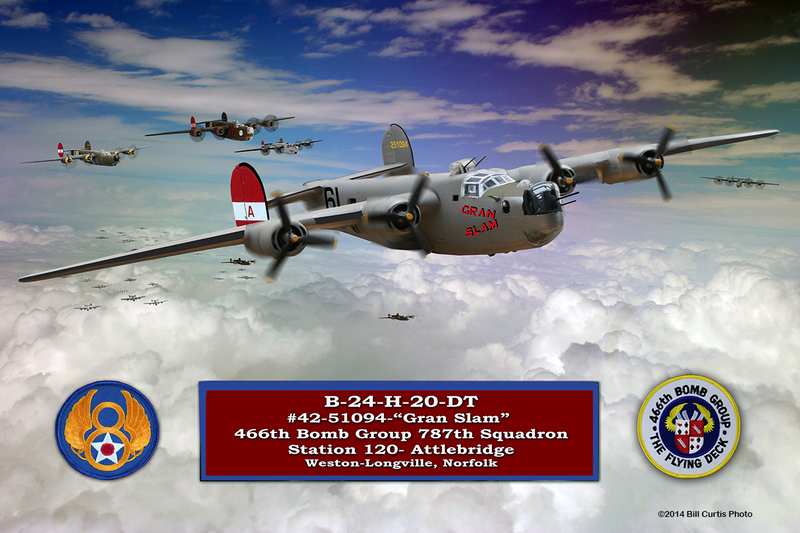 784th Squadron- T9, 785th Squadron- 2U, 786th Squadron- U8, and 787th Squadron- 6L. 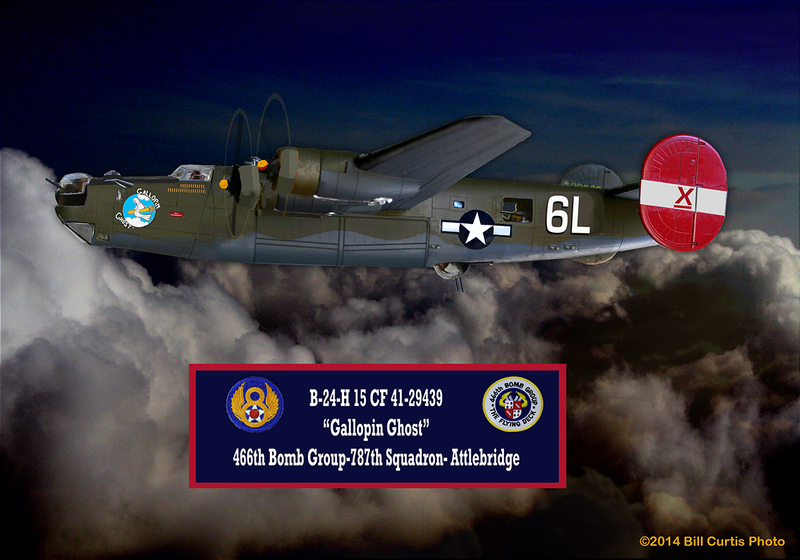 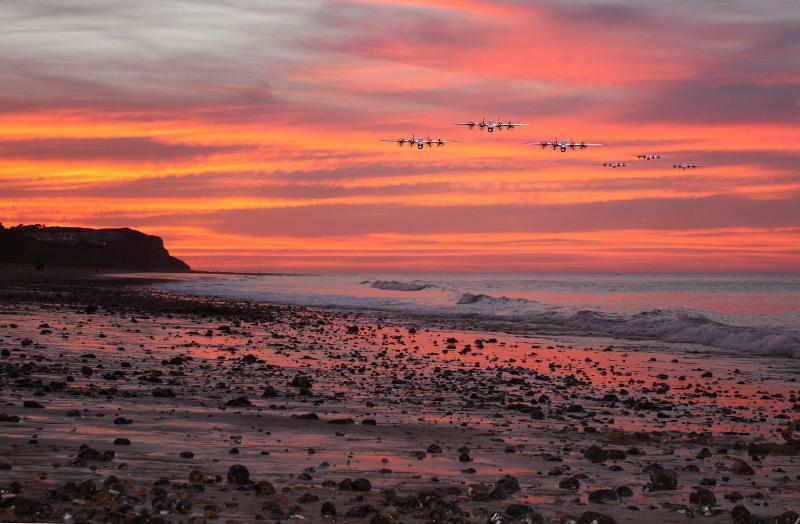 The aircraft call sign letter was a red letter in the middle of white stripe of the tail. 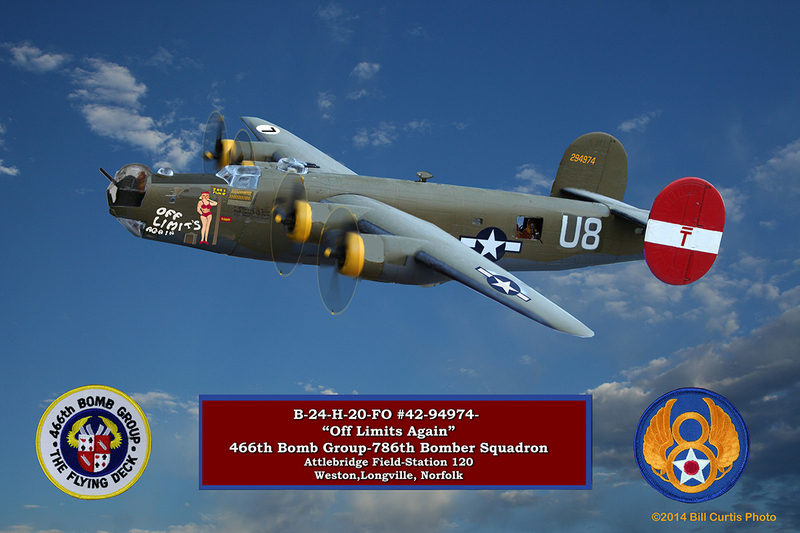 The call sign of the aircraft was made up of the last 3 numbers of the Serial Number plus the call letter. 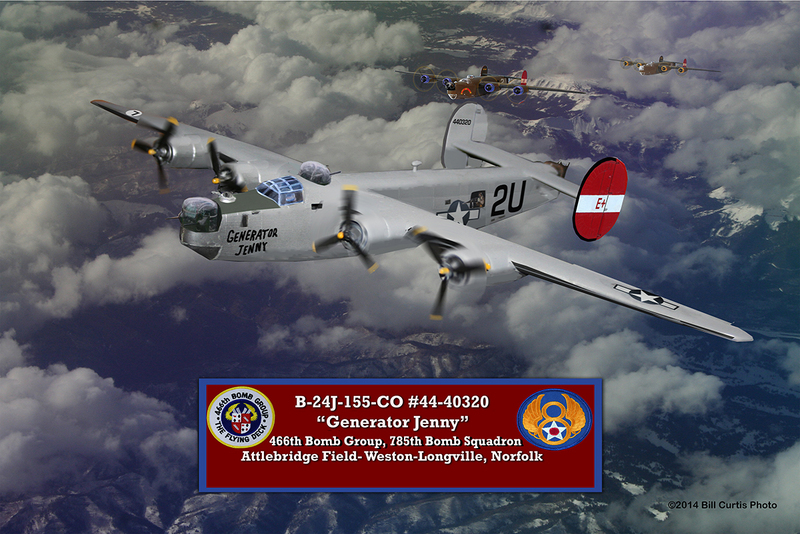 For example" Dirty Gertie " had the SN 129366 and a red letter "G" on the tail. 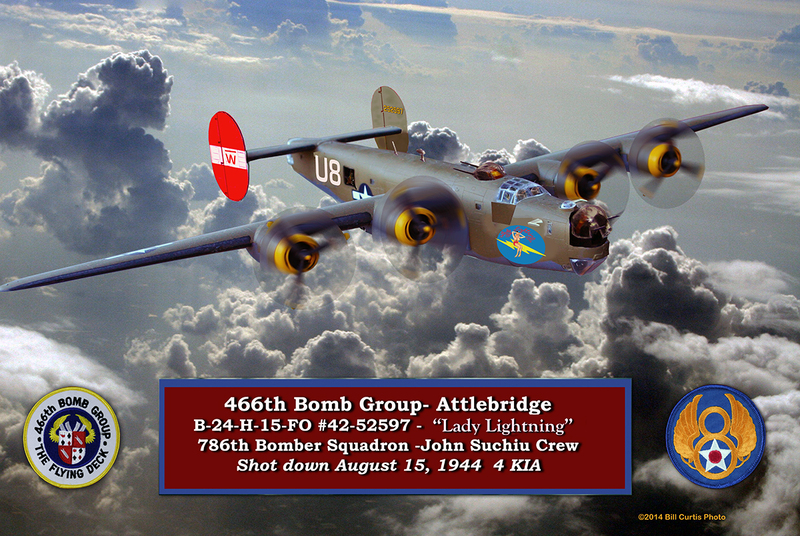 Its call sign was "366-G".